Hey, fellow Blogger or should I say Blogspot user! I know, probably just like me you're looking for some simple alternatives to bustle up the submission of instant articles on Facebook. Compare to Wordpress users, Blogspot bloggers are considerably left behind this trench. I personally observed why FB Instant Article distribution is really not a friendly thing for Blogspot bloggers. As a Blogger user, here are some of the realities inevitable for us. SDK and API, two coding pills that give us headaches. I tried to make countless attempts but taking everything in mind I'm not really good at programming. RSS Publishing, RSS feeds or Atom is indeed available in Blogger. Blogspot users however don't have the fortune to edit and customize the feeds to adapt Blogspot with Facebook Instant Articles. Shaping SDK and API publishing for Blogspot is truly time consuming. The coding pills I've mentioned earlier are not sure to be compatible with Blogger that is why after a few efforts I stay away from them. Recognizing the battle between Google versus Facebook, where FB is trying to accommodate their users by accessing external content within the Facebook App without leaving the Facebook itself. Although Google is responsible for the Blogger existence, the updates only comes after every few years. While the updates for the main program and plugins for Wordpress are brought to its users everyday. Facebook also has its own Wordpress running support website. Wordpress and Facebook share the same similarity, a frequent update to harmonize the users experience day by day. Updates, the truth that Google Blogger is lacking. Blogspot automatic publishing for Facebook Instant Article may not be a realm for Blogger users. Perhaps with the use of Google Rich Snippet Testing Tool we can resupplying Facebook with our own drafted instant articles. Carefully check your website data structure. Go to Structured Data Testing Tool - Google, e.g. by providing your Blogspot post live URL it will load your website's current markup, address errors and warnings. Click the "Run Test" button. The markup code appears in the editor panel. 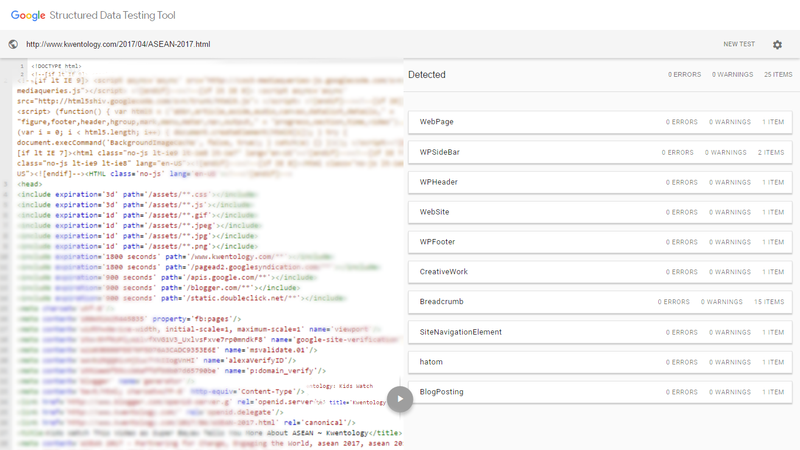 Edit your Blogger template and make customizations. Errors indicate either missing required fields or syntax errors. 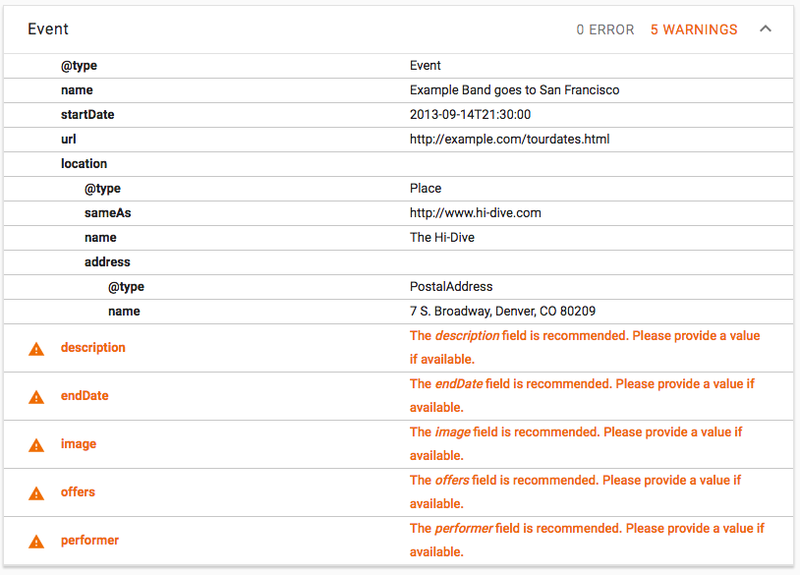 Clicking an error in the validation pane also highlights the place in the markup where the error is detected. Once you fully customized your Blogspot mark up, all you need to do is copy-paste. I'll be providing the Facebook Instant Article template on my next post. As I mentioned, on my next post I will share you guys the template for Facebook IA. This template is easy to use, it's like fill in the blanks. This is a tested template that gives you a certain 100% chance of approval if you are planning to submit your Facebook Pages on FB Instant Article. So just keep on visiting my blog and subscribe for more updates. Thank you for reading Use Google Rich Snippet Testing Tool to Manually Submit Your Blogspot Instant Articles in Facebook posted on the website Kwentology if you want to redistribute this article please include the link as the source. Have some kuwento to share? Contact us!